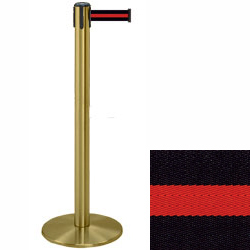 These brass stanchions with red stripe belt make great crowd control posts for high traffic environments like restaurants, airports, clubs and banks. 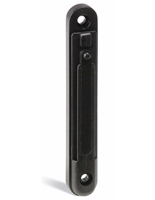 The stands come with a 7.5' long retractable band with a bright appearance. 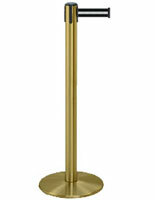 Each of the brass stanchions is 38" tall and features a 13.5" diameter base that keeps them stable. The posts for crowd control have an attractive satin finish that will match any airport or waiting area. 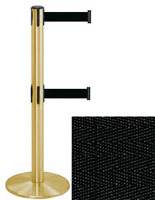 In addition, the stanchions with a stable base are also offered in black or chrome metal with a wide variety of band color options.